Don’t let the jargon intimidate you. The B2B, or business-to-business, sales process simply refers to the series of events, phases, or steps that occur when one business sells (or attempts to sell) a product or service to another business, hence the name. 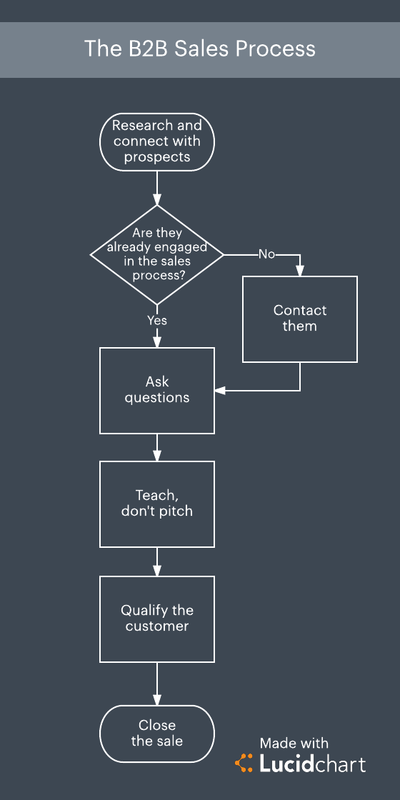 The B2B sales process applies to most fields. Even transitions you would commonly consider B2C, or business-to-consumer, could involve a B2B transaction beforehand—for example, Barnes & Noble negotiating to purchase books from publishers before they end up on the shelves to sell to consumers. From landscaping businesses to software as a service (SaaS) companies, most organizations should be investing time and energy into refining their own B2B sales process. You might wonder how the process of selling B2B differs from selling B2C—after all, businesses have more negotiating power than the average consumer. 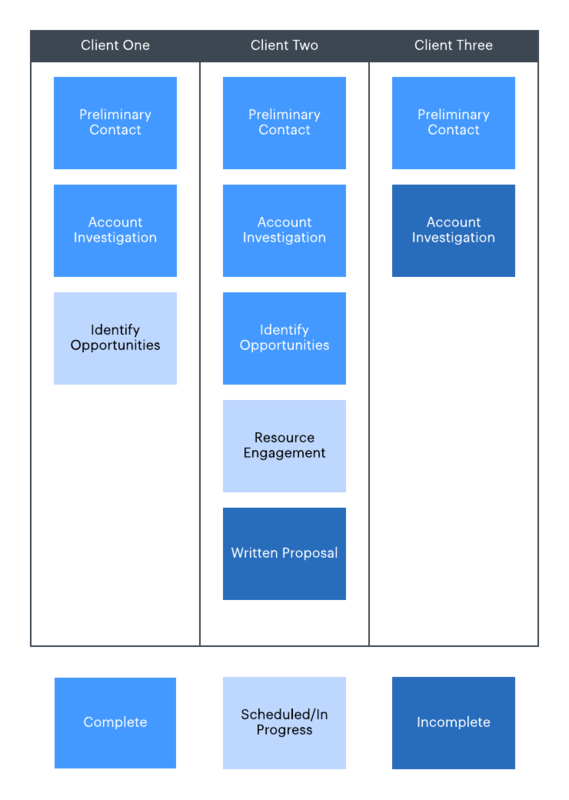 We’re here to tell you the most important steps for refining your B2B sales process, plus the ways you can use Lucidchart to visualize and keep track of that process. Why is a B2B sales process important? Optimizing your B2B sales process translates directly into more sales and more revenue. Think about it: the better you get at presenting your product and engaging potential clients, the more deals you close, increasing sales and your bottom line. It’s important to note, however, that while a B2B sales process should be repeatable for maximum success, no two customers or sales processes will be exactly alike. Stop the shotgun spray approach where you’re just trying every trick in the often outdated book to get a sale. With some practice and distillation, you can craft a lucrative B2B sales process. This step is easier now than ever before with the availability of business information online. Because you know your product better than anyone, you also know which businesses need your product. Do your homework and become familiar with the industries and businesses of your potential prospects. Once you understand who you are trying to sell to, you can reach out and attempt to set up a meeting. 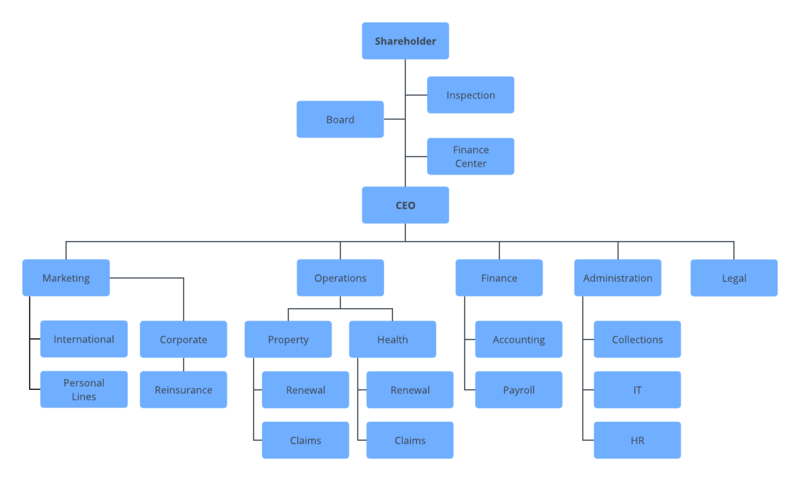 As part of your research, you can also use our org chart templates in Lucidchart to map out organizations and determine the champions and decision makers who will help you close the deal. Keep in mind that potential customers also have access to information 24/7, which means they may have already entered the sales funnel by the time you contact them. Your job then is to determine if the prospect has already engaged with the sales process, and if so, how far along are they? It has been shown that some B2B buyers are anywhere between 60% and 90% of the way through their purchase before they ever have contact with the seller. Never assume you know something about your prospective customer — always ask. The more information you can gather from your client about their needs, likes, dislikes, and struggles, the better position you’ll be in to complete a sale. Stick to questions that promote an in-depth response, and avoid yes/no questions that can shut down a conversation. Keep in mind, though, that all the questions in the world won’t help unless you listen to the answers. People like to talk about themselves and their business, so let them! Aim for an 80/20 ratio of listening to talking. Keep track of the meetings you have and the information you gather from prospects in a customizable diagram from Lucidchart. Using the information you’ve gathered from your excellently worded questions, look for opportunities to teach your prospect something that will benefit them. The trick here is to teach without mentioning your own service or product. It may sound and even feel counterintuitive to give away information with no expectation of something in return, but remember, you are trying to establish a rapport. Offering up a no-strings-attached tip shows you genuinely want to help and care about more than just getting the sale. Identify what goals the prospect is trying to achieve, what plans they have to achieve their goals, what challenges may be preventing them from reaching their goals, and when they want to achieve these goals. Talk about the prospect’s budget, business needs, and timeline for rolling out a solution, and determine who has ultimate purchasing power. The more you understand about your customer through these qualifying questions—and the better you demonstrate how your product or service assists the prospect in fulfilling their goals—the closer you will get to making a sale. While it can seem like the hardest step of the B2B sales process, if you’ve done the preceding steps correctly, your close should be pretty simple and will likely result in a sale. But even the best-laid plans can have shortcomings. If you’ve reached this step and you and the prospect are not aligned on next steps, don’t be afraid to repeat the previous four steps. Revisiting the process in the preceding steps can illuminate where the prospect may be feeling hesitant and will give you a chance to address any opposition. If your interaction doesn’t result in a sale this time, keep the prospect engaged with an actionable “next step.” This could be a follow-up appointment, a product demonstration, or another meeting with additional decision makers. Establishing a next step gives you another opportunity to repeat the B2B sales process. As with anything in life, the B2B sales process takes practice to master. Keep in mind that every appointment and connection is another chance to streamline your sales process. The more prospects you interact with, and the more times you repeat your B2B sales process, the better you will become. Invest time and energy into refining each of the five steps outlined above, and don’t be afraid to make changes where needed. Stay organized as you master your B2B sales process with diagrams and templates from Lucidchart. Sign up for a free account today, or try Lucidchart through your whole sales org!